SAN DIEGO, Calif. /California Newswire/ — Last Friday, after hearing arguments from both sides in the lawsuit aimed at blocking California’s new Prevailing Wage Law (SB7), San Diego Superior Court Judge Joel R. Wohlfeil affirmed his August 28th ruling upholding SB7. SB7 is a bipartisan law enacted in 2013 that encourages more of California’s Charter Cities to pay Prevailing Wage on locally-funded construction projects, according to Smart Cities Prevail. To read the preliminary Superior Court ruling affirming SB7, click here (PDF). To read the Final Superior Court Ruling affirming SB7, click here (PDF). Supported by both Republicans and Democrats since the 1930s, Prevailing Wage policies have proven to ensure more construction projects are completed on-time, on-budget, with fewer injuries, more local workers, and $1.50 in economic activity for every dollar spent on a city project. While most California cities are governed by General Law and enjoy the benefits of Prevailing Wage already, SB7 was enacted to encourage more of the state’s Charter Cities to convey these benefits and protections to local residents. Considering that a 2012 Los Angeles County Civil Grand Jury report found that Charter Cities were more likely to be in debt and make risky financial decisions, and one of the Charter Cities filing this lawsuit boasts the second-highest unemployment rate in the United States, it is clear that SB7 addresses a very real need. Prevailing Wage is the standard rate paid on publicly funded projects to a worker in a given trade, in a given region. Both non-union and union contractors perform Prevailing Wage work. The rate varies from region to region and is typically lower in rural areas than in large cities. SB7, which took effect in January of this year, would limit access of Charter Cities to discretionary state construction funds if they do not comply with Prevailing Wage provisions on all of their public works projects. The law would exclude contracts for projects of $25,000 or less for construction work, and projects of $15,000 or less for alteration, demolition, repair, or maintenance work. A large majority of California Charter Cities already have Prevailing Wage policies in place. The law was authored by Democratic State Sen. Darrell Steinberg and Republican State Sen. Anthony Cannella. Six cities – Carlsbad, El Cajon, El Centro, Fresno, Oceanside, and Vista – filed this lawsuit to contest the law earlier this year. The formal hearing on this matter took place in San Diego Superior Court on Thursday, August 28, at which time both sides made their argument. The cities who challenged the law can choose to appeal the ruling. 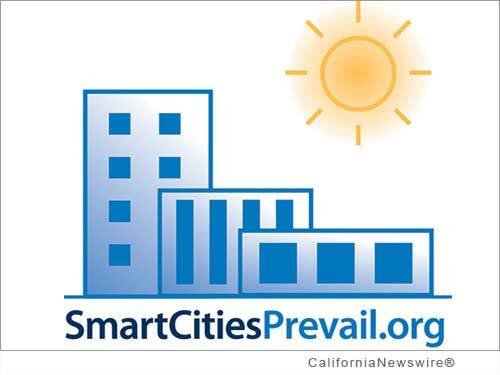 Smart Cities Prevail is a non-profit 501(c)(4) organization dedicated to providing complete research and education on the benefits of Prevailing Wage. Over the last year, three different polls have showed strong public support for Prevailing Wage policies. More than 33,000 Californians have also signed Smart Cities Prevail’s petition in support of Prevailing Wage, which can be viewed here: http://www.change.org/p/help-rebuild-the-middle-class-support-prevailing-wage-4. Editorial note: above text is a press release as provided by the news source, Smart Cities Prevail, who is solely responsible for its accuracy.